Australia (derailedonline.com) - The rumours are true - The Big Man is Back! After much anticipation, Nathan Rennie has returned to his home soil to take on the Australian National Race Series. Nathan does this with full support from Monza Imports, INTENSE Cycles, SRAM, RockShox, Avid, Truvativ, and Fox Racing Apparel and Protection. You will see him aboard the new Intense M9 FRO. The M9 has been in development and for two years and is now ready to conquer any race track that stands in its way. Nathan will also be riding the new INTENSE Tazer Hardtail and training aboard the INTENSE Tracer VP. All of his bikes will be fully equipped with the latest offerings from SRAM including the new 2011 BoXXer World Cup and his XC bike will feature SRAM�s new X0 2X10 drivetrain. To keep Nathan looking as good as his bikes he will be wearing 2011 Fox Head Race Apparel including race wear, the new Fox V3R carbon full face helmet and Fox Main Pro goggles. Nathan will also be riding in conjunction with Mount Joyce Escape Recreation Park. 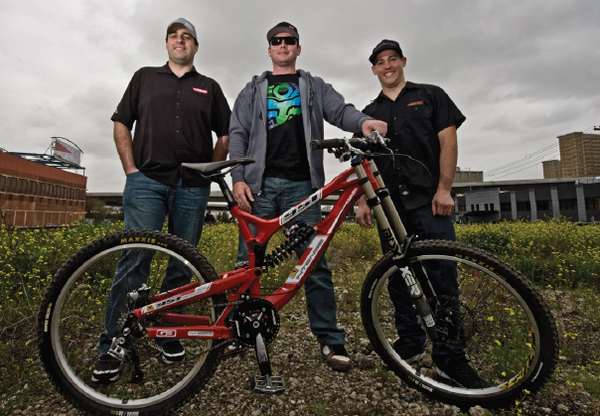 For the last 2 years, the M9-FRO has been in development by the Intense engineering/design team and world cup racers. It features the World Cup, National and World Championship winning VPP suspension platform. 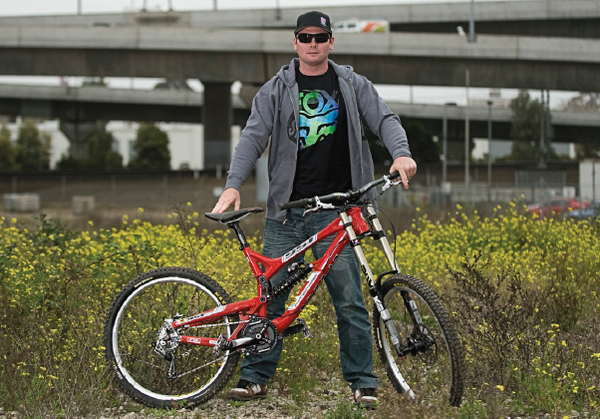 The Legendary RockShox BoXXer is downright fast. Upgraded damper technologies and a re-valved design provides a smooth and consistent feel to the decadently light, adjustable and fully redesigned Solo Air spring. Through sponsoring and working closely with the best riders in the history of Motocross, MTB and BMX, Fox continues to research and develop race clothing that provides riders with maximum protection and performance. Posted on Sep 27, 2010 23:47:57 -0400 by Brady.